The government said Thursday that it will suspend tens of billions won worth of exemptions in provincial taxes that were granted to Korean Air and Asiana Airlines. The Ministry of the Interior and Safety said it will formally announce a revision to laws related to local taxes on Friday. The state benefits, which had been offered for 31 years, reduced acquisition and property taxes for the two flagship carriers in a bid to boost their global competitiveness. 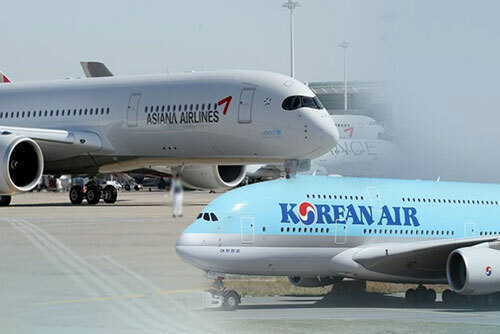 This year alone, Korean Air and Asiana Airlines received tax exemptions worth 28-point-nine billion won and five billion won, respectively. But from next year, large airlines with assets of over five trillion won will be excluded from the tax break while low-budget carriers will continue to receive the benefit.